If you've been looking for a small neighborhood bar with sports bar flair serving short order comfort food and a hard liquor license (type 47), then SellingRestaurants says you've got to stop by and look at this absentee operated business! 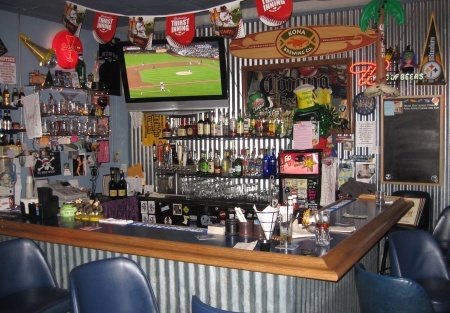 This local favorite sports bar is situated in a wonderful corner of the world surrounded by pines, creeks and lakes. There are no other bars within miles of this location so you're the only game in town with thousands of folks surrounding the area. Situated in a shopping center, this bar also has a great menu of American comfort food offering, drawing in all sorts of folks in for not only the drink and conversation, but also the food. The crowd is the 30's, 40's and 50's folks, so you're not going to see your clientele disappearing one at a time here. The menu is simple and the food is great. You've got to stop by to have a burger and beer. And speaking of beers there about a half-dozen draft beers available along with hard liquor drinks and of course bottled beer. The liquor license alone in this county have sold for more than we're asking for the entire business! And what a great lease as well. There are 2,000 Sq. Ft. with an all-in rent of about $3,240 per month making this an attractive opportunity. This business could certainly use a working owner to realize its full potential, but even then this place is netting the current owners $4-$7k per month. I guarantee this jewel won't last, so don't sit on the sidelines and watch it, go out and see and buy it now!This is a Paramount Restaurant Brokers, Inc. DBA SellingRestaurants.com listing. Business is Increasing! Good Trend-Up!